Improve your home security with affordable indoor camera designed to provide that needed surveillance and protection for your home. Everywhere, all over the world, security is increasingly becoming a great concern. Nowhere is that concern more apparent that within the walls and surroundings of our home. Whether you are home or not, there is need to ensure that your home is safe at all times. And perchance there be any form of security breach, there is need to be aware of such immediately. Immediate awareness may not only foil such a breach but it may serve as a deterrent to any future reoccurrence. Blink indoor cameras are parked with features that will provide you with adequate security in and around your home. They come in a variety of kit configurations whereby you receive discounts should you buy more than one camera. The kits come in 1, 2, 3 or 5 camera kits. 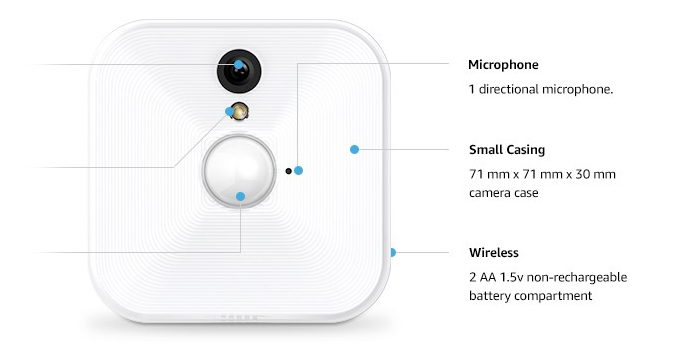 Blink indoor cameras come in a compact design and in a small white casing measuring 71 mm x 71 mm x 30 mm. It is light in weight (0.07 kg) and can be easily set up within minutes and is controlled through the Blink app available on iOS and Android. It connects to other devices and private and public networks using Wi-Fi on 2.4 GHz 802.11 g/n band. However, it does not support peer-to-peer (ad hoc) networks. The camera is powered by two AA Lithium 1.5 V non-rechargeable batteries that comes with the product. The batteries are designed to last for at least two years depending on usage, environmental factors and the device settings. You can also power the camera using a 100 – 200V AC to DC converter connected to the device through the micro USB port. Each camera kit comes with a mounting kit for each camera, a Quick Start Guide, a Power Adapter, a USB cable and a Sync Module. Camera: The Blink Home Security Camera comes with a 720p full HD resolution camera that has a 110 degree viewing angle. With a camera frame rate of 30 frames per second, it is capable of streaming live clear HD video without blurring or distortion. It has an in-built microphone that can only provide one-way audio recording and a white LED illuminator that allows you to know when the device is on and functioning. Motion-Triggered Sensors/Instant Notifications and Alerts: With its Passive Infrared (PIR) sensors, the Blink Camera can detect motion at up to 20 feet away. Motions sensors immediately activate video and audio recording and a short video of about 60 seconds is recorded and the data immediately to your smartphone. Connection: All cameras use a hub to connect to routers by Wi-Fi. However, for most models (such as Canary, Arlo, Nest Cam, Piper, etc. ), you require a hub for each camera device that you are connecting. That implies that if you have four cameras, you will need four hubs can connect the four hubs to your router. This overburdens your router and can slow down your internet significantly. However, with the Blink Camera, you only need one hub (sync module). Furthermore, you can connect up to ten cameras to one hub making it very efficient for use with your router. App Control/Live View Mode: The Camera is controlled using the Blink app which is available in iOS and Android app. You can also control if by voice if combined with an optional screen Alexa app. 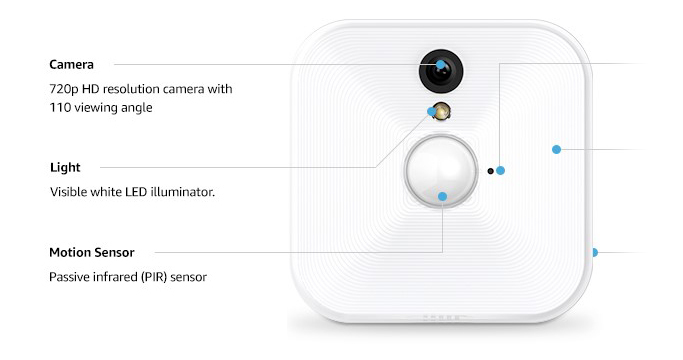 By connecting to Alexa-enabled devices (such as Amazon Echo, Amazon Dot or Amazon tap), you can control the camera with your voice without any physical effort. You can also access on-demand live streaming through the Blink app. This allows you to view whatever is happening in your home at any time and from anywhere. 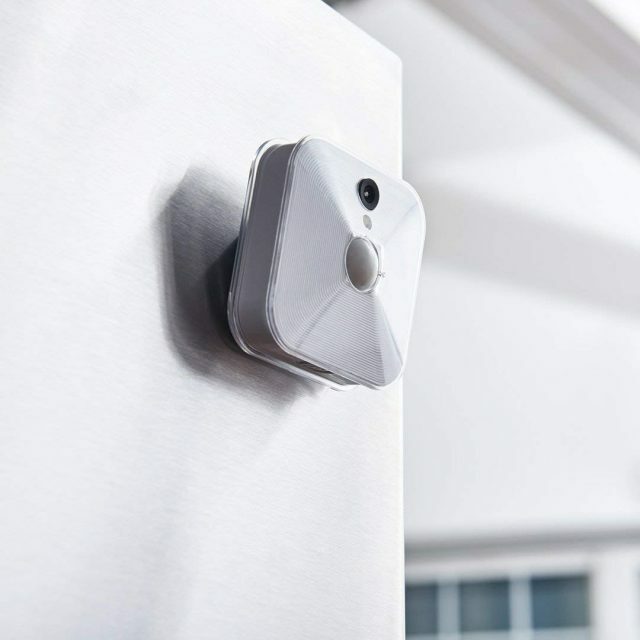 Temperature Monitoring The Blink camera can also monitor the temperature within your home and notify you should the temperature rise above normal. This can help in early detection of fire and save lives and property. 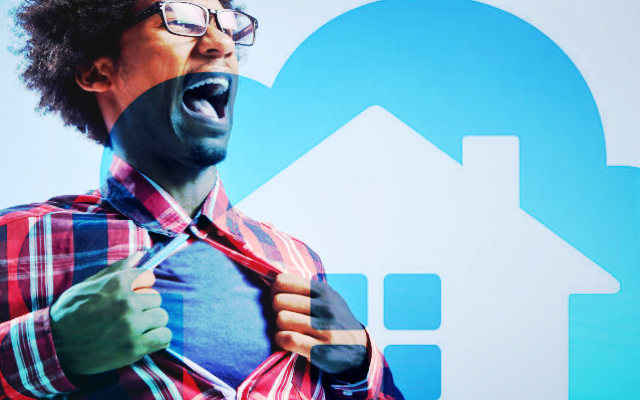 Absolutely Free Cloud Storage” Yes. That is correct. Blink Camera provides you with free cloud storage at no cost to you – i.e. no monthly or service fees. The cloud storage can be accessed from the Blink app on smartphones running on iOS 10.3 or Android 5 Lollipop or higher. Schedule Off/On Monitoring Automatically: Should you do not require 24/7 monitoring, you can schedule when monitoring should commence or stop through the Blink App. Pricing: The one camera kit sells for just under $100. You receive substantial discounts in price should you decided to buy a 2-, 3-, or 5-camera kit. There is also a discount if you require additional add-on camera. 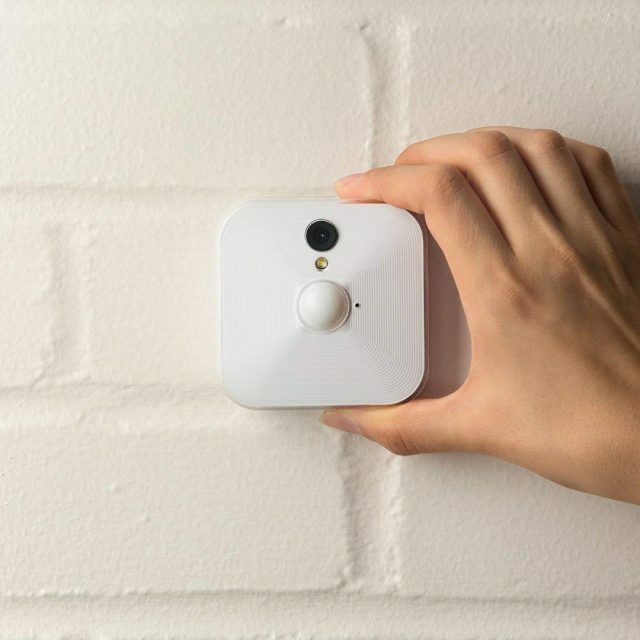 Considering its price and features, Blink Camera is a nice balance in between Canary All-in-One Indoor Cameras that sell for about $86.95 and the high-end Nest Security Camera that sells for $160. It does the job adequately without making a hole in your wallet. •	Free cloud data storage. •	Has a location range of about 100 feet from the hub. •	Multiple sync modules not required for multiple cameras. •	One Sync module can connect 10 cameras. •	Integrates with Alexa screen devices. •	Wireless design for seamless connectivity. 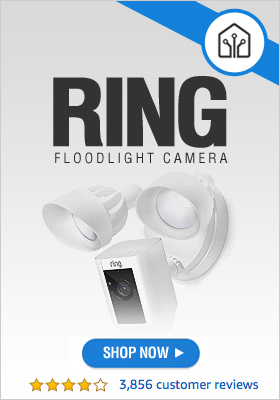 •	Records only 60 seconds of activity after motion is detected. •	Cannot record while in live view mode. •	Single account, single users. Multiple users not allowed on a single account. 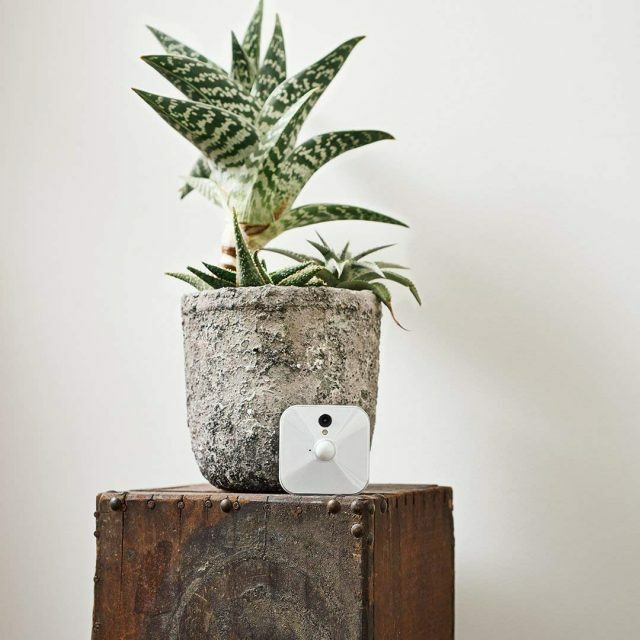 Get Your Blink Indoor Camera Now! 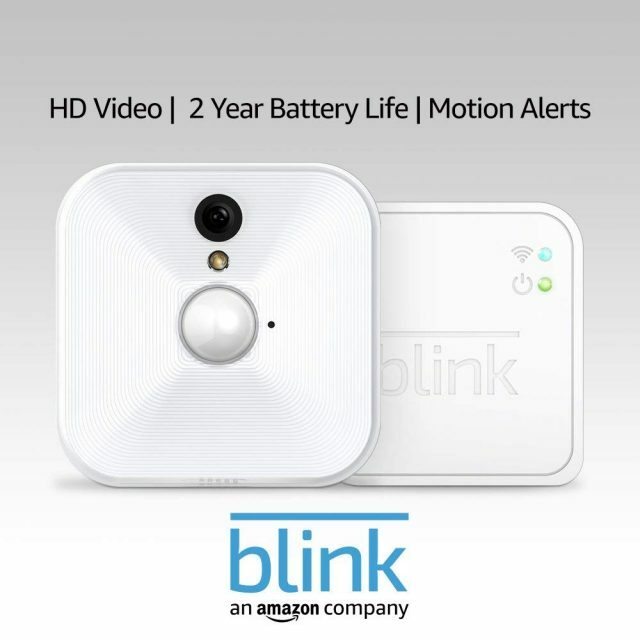 Get Your Blink Indoor Home Security Camera System Now!